I'm sorry about the title I just couldn't resist . No I'm talking about sanitary protection I am in fact talking about one of last month's My Pure products. Living Nature Body Form Body Oil is a classic detox oil designed to firm up your wobbly bits, just what we need ahead of the party season, and dare I say it as part of the annual New Year New You, diet and exercise binge. In an almond oil base, this body oil also contains vitamin e, calendula, arnica, lemon, clary sage and juniper oils. All these ingredients are designed to combat cellulite and smooth and sooth skin. As you would expect from a product containing such pure essential and only minimal preservatives this oil comes packaged in a dark glass bottle. It has a smooth oily texture and has quite a strong smell of aromatherapy and herbal oils, There is a definitely a bit of citrus and almost a hint of warming antiseptic-ness. It's has a very rejuvenating and head clearing aroma, which suits the product down to the ground. It's strong as I said but not overpowering. You can use this product in one of three ways, and I've tried them all out for you. First of all you can use this as a shower product, where you massage it all over your body, concentrating on your cellulite and wobbly bits, before rinsing it off in a warm shower. The next way you can use the oil is to pop a few capfuls into a warm bath. 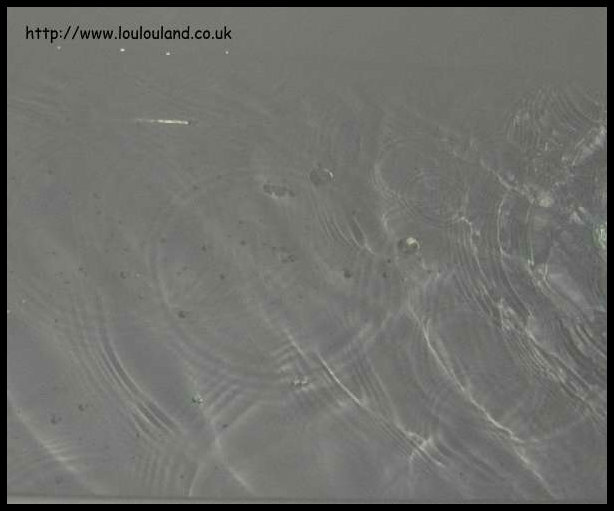 Unlike a lot of oils (eg the L'Occitane Almond Oil), this one doesn't really disperse or alter the appearance of the water.As you can hopefully see in these pictures the oil just seems to settle on the surface of the water. Bathing in the oil was pleasant and like using it in the shower you were left with some oil residue on the skin which when massaged in left the skin feeling soft and smooth. 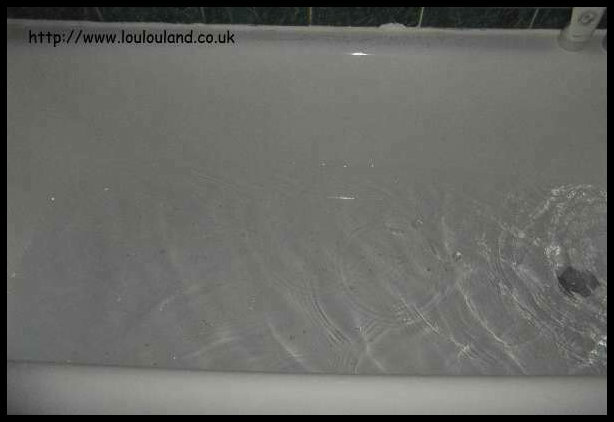 The only problem with both of the methods was the oily residue that was left on the bottom of the bath. This was pretty slippy which is obviously quite dangerous, so you need to make sure that you clean your bath thoroughly after using either of these methods and you also need to be careful when your getting out of the bath or shower. The third way of using this oil was probably my favourite way, and that was to massage it into damp skin, after a bath or shower concentrating on problem areas, which for me are my thighs, my tummy,my bum, and my upper arms. With just a gently massage the oil seemed to absorb pretty easily, and left the skin feeling soft.